Some databases don't include the full-text of articles. When there's no full-text, click on the Check Article Availability link in the database. This will search through the library's full-text holdings in other databases and give you a link to the full-text of the article. 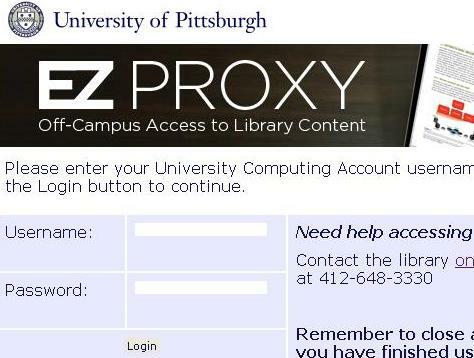 If there is no online access, there's a link to PITTCat+ to see if we have the article in print. Fill out the requested information about the article. The article will be emailed to you as a pdf document in approximately 3-5 days. This database enables the public to search the clearinghouse's documents database, which includes over 22,000 records; the Prevention Program's Database, which has information on over 400 community-based child abuse programs; and the National Directory of Child Abuse and Neglect Treatment Programs. This database is the electronic version of Psychological Abstracts. Its indexing coverage is from 1887 to the present and includes all types of documents. It is international in scope, including relevant materials related to the field of social work. Includes some full-text. The database indexes more than 450 journals in all areas of the field of social work. Indexing coverage is from 1977 to present. It includes some links to full-text. SocINDEX is a comprehensive sociology database featuring citations with subject headings from a sociology specific thesaurus. It contains informative abstracts for more than 590 "core" journals dating back to 1985.